Snoring is caused by the vibration of soft tissues in the throat and behind the tongue. Studies indicate that at least 30% of adults snore. In the long term, snoring can also lead to high blood pressure and heart problems. Anti snoring appliances are available to posture the lower jaw forwards and open the airway. Impressions are required in order to make models so that a dental technician with expertise in this area can fabricate the appliance. 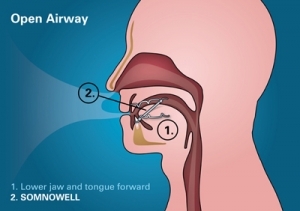 For more information on snoring devices, please visit: www.somnowell.com.